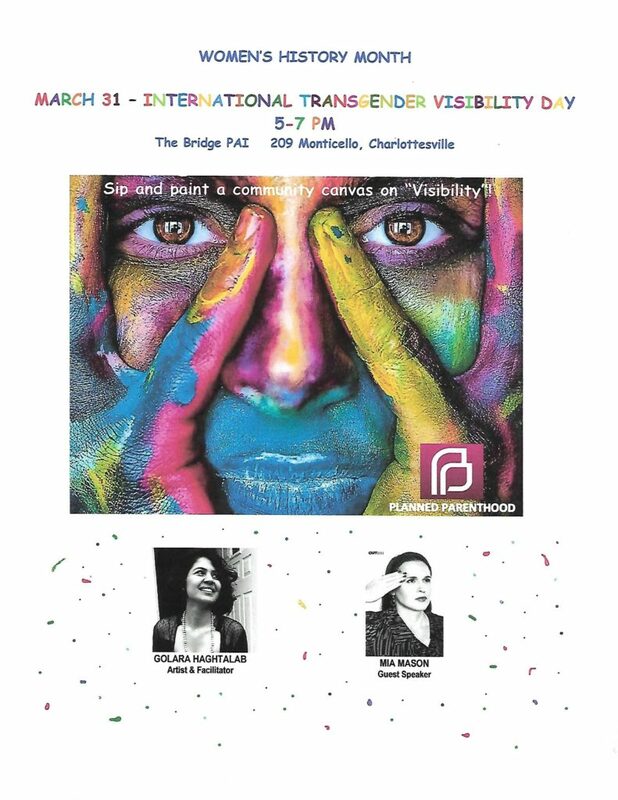 Join Golara Haghtalab, artist, and Mia Mason, activist, at this weekend’s event, Canvas for the Cause: International Transgender Visibility Day! 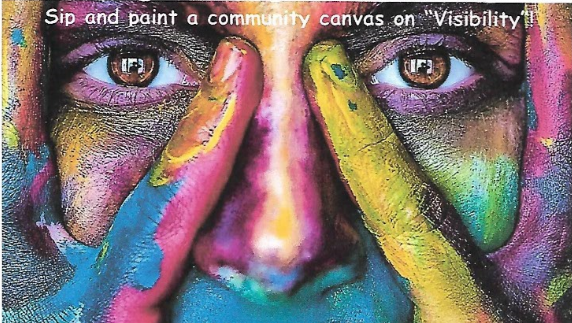 When: Saturday, March 31 from 5:00 p.m. – 7:00 p.m.
HELP MAKE A BEAUTIFUL AND UNIQUE COMMUNITY CANVAS WITH PAINT! This evening brings visibility to the trans community and highlights accomplishments of trans people around the globe! Activists will speak on the importance of International Transgender Visibility Day and contribute to a community of allies.